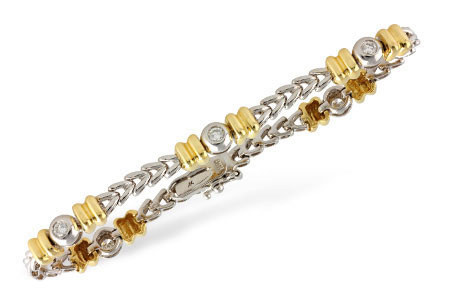 This bracelet is 7 Inches long; this size is for an average adult ladies wrist. 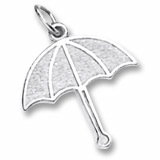 Rembrandt Charms has The World’s Largest Charm Collection by offering each charm style in five different precious metals: sterling silver, gold plate, 10k yellow gold, and 14k yellow and white gold. 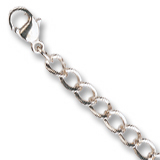 This bracelet is also available in 8 inches length. 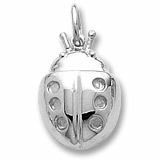 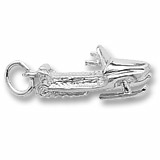 Rembrandt Charms offers many bracelets, some have a box clasp, others a lobster clasp, 7 or 8 inch lengths, either Sterling Silver, Gold Plated, 10k and 14k yellow gold and some are available in 14k white gold.